I don't have much of a sweet tooth for candy, and certainly not for suckers. That said, I have a new favorite. 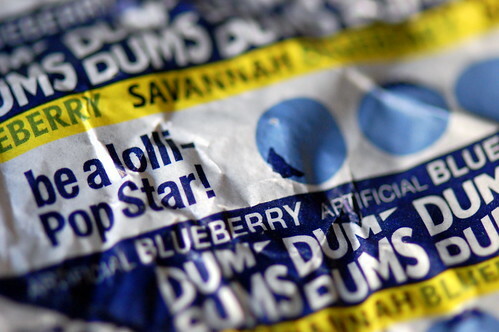 Blueberry Dum Dum Pops. I love them so much that I, with the help of a couple of friends, dug through the bulk candy so I could buy myself nothing but a bag of Blueberry Dum Dums.